Linda Johns | Reader. Writer. Librarian. The order changes depending on the day. Can your phone save your life? The short and easy answer is, you guessed it: Yes. The real answer is: Yes, but your life will be saved only if you take 30 seconds now to make it happen. Or maybe it will take two minutes. But honestly, it’s a teensy bit of time compared to the payoff. Phones come with a free app (iPhone) or a specific setting (Android) where you can keep your health information and emergency contact number — if you enter it. First responders and hospital workers all know where to look, and they can get to it even when your phone is locked. Maybe you already have an emergency name and number in your contacts, but that won’t be of much help if your phone is locked. Hear me out, whether you’re young and healthy, not so young, reasonably healthy, or you have concern for someone in your life. 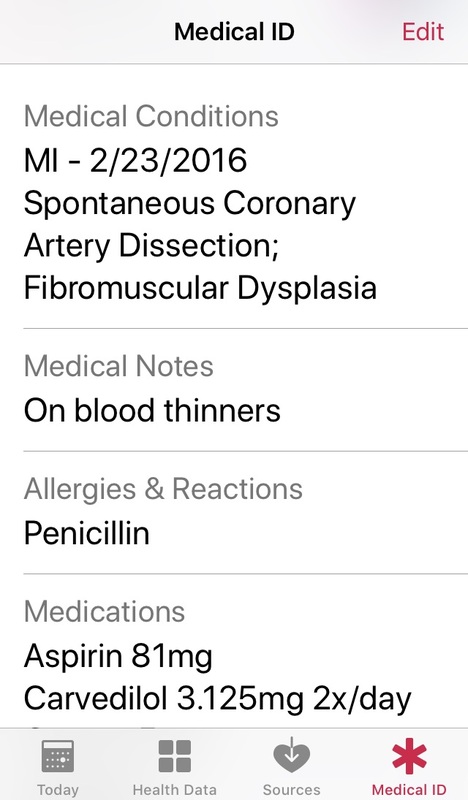 I originally set up my iPhone with the most basic of info, something I do whenever I get a new phone, listing a drug allergy (penicillin) and my ICE (In Case of Emergency) contact. See end note for translation, if you like that kind of thing. The conditions are not common names, and as much as my family and friends have heard me talk about myself (sidenote: thanks for putting up with my excessive/obsessive artery talk), I don’t know that any one of them would be able to rattle off what “SCAD” stands for or “fibromuscular dysplasia,” so I’ve assured them it’s on my phone. I also list my husband’s name and number, and that I’m an organ donor. Sure, my license says “organ donor,” but I’m more likely to have my phone with me than my wallet if I’m out on a walk or at the gym. I hope that right about now you’re looking at your phone to see if you have the ability to do this. (You do.) On an iPhone, look for the red heart on a white background, the same built-in app where you track your mileage. Open it up and choose Medical ID. There are prompts for medical conditions, medical notes, allergies & reactions, medications, and emergency contact information. On an Android, go to the “Users” section in Settings and edit away. 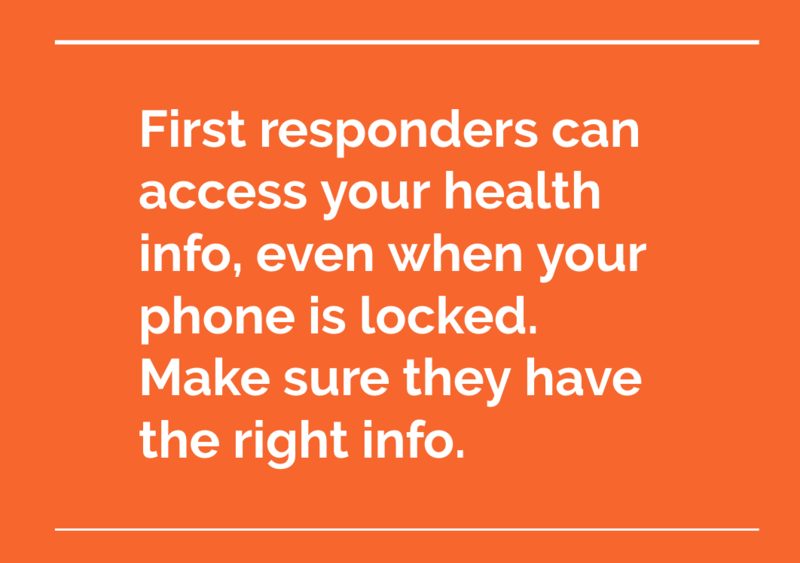 I’m pretty sure that whatever directions I offer here will be outdated soon, so do a quick Google search for your phone type and “access by first responders” and you’ll get the tips you need. I don’t need to hear your step by step, or how my directions were incomplete, or about your Apple Watch. But I do need you to update your app or setting. I need you to do that now. Thank you. I love you and want you to stay alive. “Spontaneous Coronary Artery Dissection” = a tear in the artery wall that can cause an MI. “Fibromuscular Dysplasia” = a disease in blood vessels; imagine a blood vessel that looks like a string of beads, instead of being smooth. Mine is in my carotid arteries. “Carvedilol” = a beta blocker that does a bunch of great, life-saving things; it also makes me feel like I’m walking through Jello all day, every day. Librarians obviously love authors, and there is nothing most of us enjoy more than putting the right book in a reader’s hands at the right time. Will that be your book? Book cover image: Make sure that there is a high-res cover image readily available on your website. Ideally, make it more than 1mb. We can use these in blog posts, book lists, shelf talkers and other print materials. You would not believe the number of books I’ve wanted to include in book lists and blog posts, but then had to delete when a good image wasn’t available. I’m not talking critically of book cover design – but the mere fact that I can’t find a watermark-free high-resolution image to promote your book. Author photo image: Here’s another one that should be on your website. A nice headshot that’s, again, high resolution. Perhaps you’re entering your book in an awards competition. Perhaps it becomes a finalist. Or perhaps you are speaking at a library event. We’ll want to share the good news, which will be less powerful without a decent author photo. It should be on your website and easy for me to grab. Your phone can yield a 2mb or higher image, so no more of this 33kb grainy photo business, please. 30-word book annotation easily available on your website. Please don’t rely on the publisher’s summary or book jacket copy, which is much too long for promotional purposes. A short, tight, and snappy description is something we can use in book lists and blog posts, perhaps even on shelf talkers. I would say that less than 10 percent of the books I want to feature actually have a short annotation ready to go. My colleagues and I used to write our own, but library work has changed so much in the past decade and there simply is no time to do that when, say, you’re putting together a list of 30 books. If it’s too cumbersome to find something pithy to write quickly about your book, you’re getting cut from my book lists. Those are the three most crucial things that I wish every author would do. Take a half-hour to update your website with downloadable book covers and author image, and get your books’ summaries down to 30 words. You’ll make this librarian happy (or, at least, happier), and help all of us with connecting readers to your books. My mom died ten years ago today. Today at work, an elderly woman with dementia has nowhere to go, no one to see. We all – and I truly mean everyone who works public service at my large urban library – panic for hours that she will end up, still, when the library closes, with nowhere to go, no one to see. She is in her 90s, dressed in hospital garb that is mostly hidden by a long winter coat tied snugly around her waist. She shuffles in a way I associate with dementia in someone younger (the physical signals of Alzheimer’s scream to those of us who know it well) but isn’t at all alarming in someone her age. She struggles with a walker and one of the largest wheeled-suitcases I’ve seen. Or maybe it’s the bright floral pattern that makes it command attention, seem so huge. She shuffles, struggles, smiles. One of our security officers immediately takes up conversation with her, taking over transportation of the ungainly suitcase. I think: I work with kind people. I think: Is this all she has? I think: How will she manage the rest of today – tomorrow, next week, any other day, really – without someone beside her? The woman doesn’t know where she lives. She doesn’t know where she’s been or why she’s dressed as she is. She does, however, recall stories of her life and her friends from decades ago. The police are called. Can the Crisis Team help? Four police officers arrive an hour or so later with the news that they’ll call the Crisis Team. But there is no guarantee that they will come. And, if they do, they might not be able to do anything. Staff situate her at a table in the coffee shop area of the library and they bring her food. Everyone working on Level 3 keeps their eyes on her; staff from Level 5 periodically peer down from their overlook to check on her; other patrons and customers in the coffee shop are kind and gentle with her. It goes unsaid that we are all fearing the worst, that closing time will come and she will have nowhere to go. Finally, two men from the crisis team arrive. We are jubilant. Something good will come of this. She will be safe. But then, inexplicably, the two men leave. My colleagues jump into action again. There are phone calls to make, noise to be made. We used to have a part-time social worker at our library, but the position has been vacant for nearly three months. We have felt the strain, and when I say “we” I mean not only staff, but also dozens of people who come to the library each day looking for help getting housing, getting identification, getting on with their lives. Librarians do what we can to help, as we have been for years. But the need is so great and the systems so complicated, and, honestly, we didn’t know all the gaps there were in our service until we had a social worker alongside us. This story has a short-term resolution and long-term devastation. The phone calls and strategizing work, and someone comes to bring her to a shelter and connect her with services. I am relieved for her, but far from happy. This should not happen in our city. Not in anyone’s city. She is just one of many. Why did I start this by telling you that my mother died ten years ago? Partly because she died of Alzheimer’s. Partly because the woman at the library reminded me of my mother with her shiny white hair, endearing smile, and the soft depth in her eyes as she seems to be searching for something she can almost reach—and then it slips away. And partly because I woke up with an unbearable sadness that compounded throughout the day. This sadness is bigger than me, bigger than the people I know and talk to every day. I imagine that half the people in my world, particularly those I work with and interact with at the library, feel the same way. 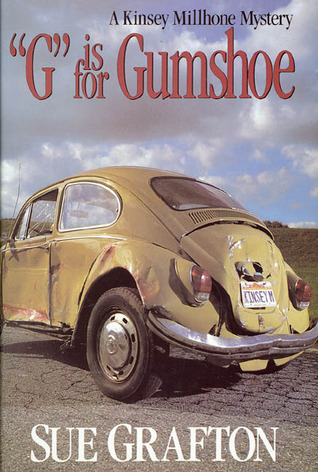 Kinsey Millhone was everything I wanted to be: a crime-solving sleuth who had good friends, a running route on a beach, a tidy apartment, and an adorable car. She influenced me in ways she would never imagine, particularly since she was a fictional character and our worlds never intersected. Of course, the credit here is all due to Sue Grafton, the mystery novelist who created the enduring character; the mystery novelist who died today, so close to the end of 2017 that it’s probably too late for any end-of-the-year media memorials because, with two days still left in the year, all those stories were produced ten days earlier. Her Decade: Kinsey was the 30-something PI who fueled my fantasies when I was younger, and then when I was older. I wanted (make that want) to be like her. 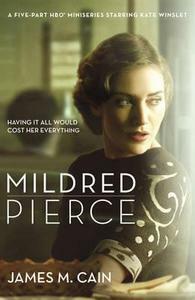 No murder, not even a crime; yet the 1941 novel Mildred Pierce is filled with suspense and tension throughout. I had no problem getting Joan Crawford (from the 1945 film Mildred Pierce) out of my head as I read because the real Mildred Pierce (well, the fictional Mildred, but the one in the novel) is younger and more complex than Crawford’s onscreen character — and the story is rawer. Not even Kate Winslet’s portrayal in the 2011 HBO mini series detracted from the vividness my readerly imagination brought to James Cain’s book. Three months ago I had a heart attack. And since the symptoms of a heart attack are different for women, and since the kind I had can strike people with no markers of heart disease, I’ve decided to tell my story. And because I love to name drop, I’ll do some of that along the way because I was with authors I love that night. I was at Queen Anne Book Company in Seattle, surrounded by friends. 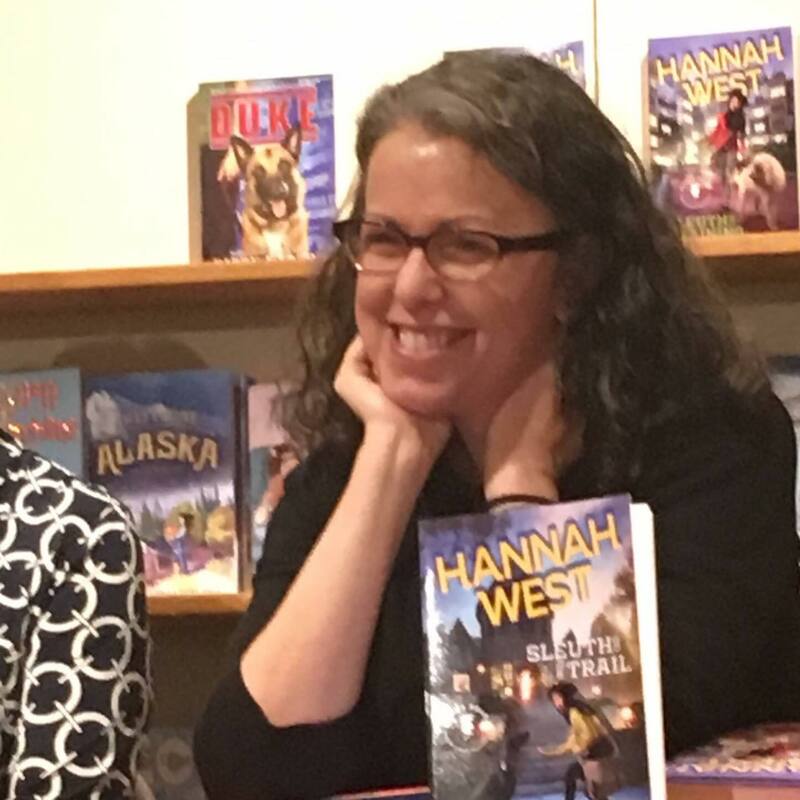 Authors Kirby Larson, Kristen Kittscher and I had just finished a presentation on our middle grade mysteries when in a flash everything changed for me. I had full-on flu-like symptoms, unlike anything I’d ever experienced before. I whispered to Kirby that I didn’t feel well and needed to leave; she took one look at me and tried to intervene, asking to take me home or to urgent care. Something was off. She told me she was worried, and that I looked “ashen.” (That specific word comes into play later.) I assured her I’d be fine. My friend Sara Nickerson looked concerned and touched her chest, a movement that triggered something in my brain. I am having a heart attack in this photo. But look at who I’m surrounded by — friends and writers I love. 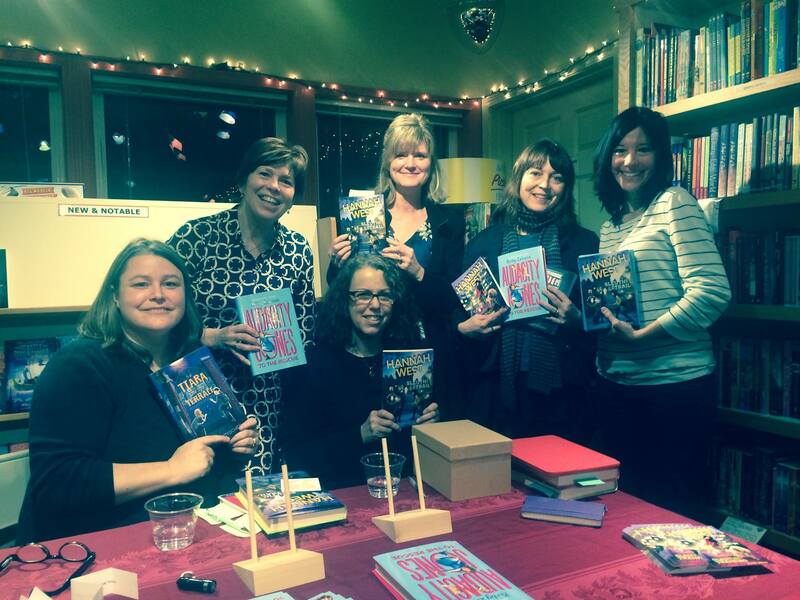 Kristen Kittscher, Kirby Larson, Suzanne Selfors, Sara Nickerson, Jennifer Longo. 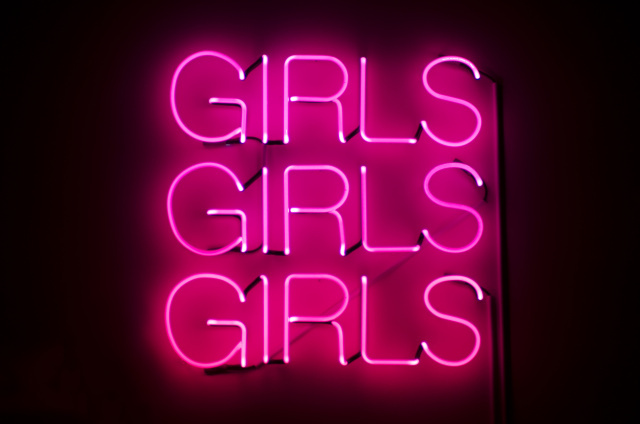 I love these women! As I headed to my car, a pressure came into my chest. Weird, but not too bad. I thought about what Kirby had said, how Sara had touched her heart. I tried to stop the crazy thoughts in my head that maybe I was heading toward a heart attack. I thought about going back to the store, knowing that anyone in there would help me. My dear friend Jane (friends since college) had just left the bookstore and lives nearby. I knew I didn’t have to be alone. But I decided to drive home anyway. A few minutes into the drive, stabbing pain in my back came and I knew precisely what it was (thank you PBS documentary on women and heart disease!). Still, because I’m a dummy, I drove all the way home, threw up and then the pain went down my left arm to my little finger. All were noted, the word “ASHEN” in all caps, and I was taken in immediately. It was confirmed that I was having a heart attack, or, as I now call it, a myocardial infarction (MI). Just a couple months after a physical where I’d had a normal ECG and full blood work, with cholesterol scores so good I could have framed them. I exercise, eat reasonably well, don’t smoke, I’m not THAT old, and I was having a heart attack. My friend Jane took this photo just minutes before my heart attack. I still feel like the person here, although my new normal is definitely different. I am incredibly grateful to my friend Kirby because her concern and her words got me to the point where I knew this was real. This was big. Ashen is an unusual color for me unless, as it turns out, my heart is not getting enough oxygen. Heaps of thanks to my family and to all my friends, and those who, when they asked what they could do, came when I said the dog really could use a walk, or two, every day for a few weeks. Thank you. Dastardly Plots, Daring Adventures — with Kristen Kittscher and Kirby LarsonTuesday, February 23, 2016, at 7 .m.